All of us at Savioke are happy to announce that we have closed $13.4 Million in Series B funding. New investors in this round include Brain Corp, Swisslog Healthcare, NESIC, and Recruit. The round brings Savioke’s total funding to $31 million. 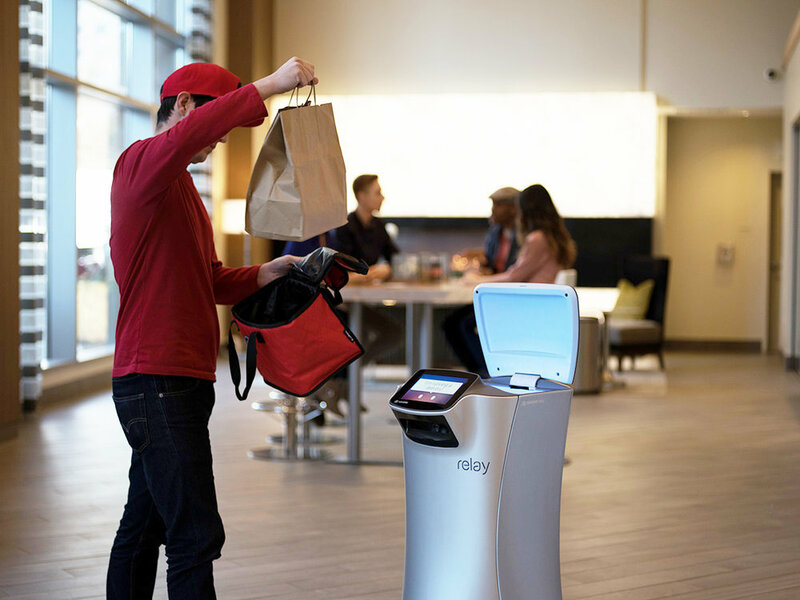 Since 2014, Relay robots have made hundreds of thousands of deliveries, in hundreds of locations, around and among countless numbers of people. In short, our friendly delivery robots have proven to be reliable, safe, and valuable in a wide range of environments around the world including in hotels and logistics facilities. With the new round of funding, we are expanding into the hospital market where Relay can help nurses, lab technicians, and other healthcare workers deliver essential items like specimens, medication, and supplies throughout the hospital. Savioke was founded on the belief that robotic automation can help people. We know that adding robots to teams enables the overall team to be more productive and allows the people on the team to do more valuable work. In the hospital environment, Relay will help highly-skilled nurses and technicians focus on their most important job rather than the time consuming task of delivery, which can put patients at risk and leave units understaffed. We look forward to using technology from our new partner, Brain Corp, an AI company specializing in the development of self-driving technology for robots, to help us continue to innovate and scale. “We have experienced strong success automating the floor care industry, and as part of our growth strategy, are now introducing the BrainOS platform across a multitude of other applications,” said Brain Corp Co-founder and CEO Eugene Izhikevich. “Savioke has a unique product, early traction and experienced leadership. We are confident Savioke and Brain Corp will make ideal partners as we work together to make robots part of our day-to-day lives.” Check out Brain Corp"s official funding announcement. Our new funding and partners represent a major opportunity for growth, not only expanding into new markets, but new use cases that allow Relay to provide more meaningful work and become a more valued member of the team. Special thanks to my brilliant team at Savioke, who continue to give their time, passion, and energy to create a company and product we are all proud of.